Are you a clinician who is curious about what it takes to grow a group practice or expand what you’ve already created? Then this conversation is for you! Join us for the inaugural Thrive Together panel discussion, which will explore the journey of several clinicians at various stages of expanding into group practice. We’ll share tips on where to get started and the biggest thing we’ve learned throughout our own unique process. Our hope for this event is to provide a safe space for fellow mental health professionals to ask questions and dream big. We hope you may walk away feeling confident enough to lean into the desire to expand your own practice and know that you have the space and the community to ask for help along the way. Or perhaps, through this discussion you are able to take home real questions to contemplate so that you can get really honest with yourself to see if this is truly what you want. Vanessa Flores of Colors of Austin Counseling is the brainchild of this event series, and she knows how possible it is to grow your business if you’re clear about WHY you want to it, and she wants to share some of those insights with others. This will be a safe space to ask and share openly about the money side of private practice and some of those other harder-to-discuss topics that are truly beneficial. Who else will be on the panel? What’s the overall structure for the event? Are you planning to host more of these panel discussions? If so, what might those look like? Absolutely! Do you have ideas for the next topic? Email me and let’s discuss how we can collaborate. My hope is to offer these regularly so that we can continue in the spirit of community and collaboration. Bernadette Chavez Piñon (pronouns: she/her/hers) is a Licensed Professional Counselor (LPC-S) working with adults (18+) in South Austin. She provides therapy and other resources to help individuals overcome stress, live mindfully, and cultivate the life and the relationships they want. Her personal mission is to empower and encourage individuals to navigate through changes and transitions in life genuinely, authentically, and with respect to their values and identities. Neathery Thurmond (she/her/hers) is a clinical social worker, certified group psychotherapist, and board approved supervisor in private practice. She specializes in eating disorders, body image, LGBTQ+, trauma, substance use, and works with teens, families, and adults. She strongly believes in the healing power of relationships and takes a relational and attachment based approach to her work and also in running a group practice. Neathery enjoys supporting other clinicians build their practice and honors the vulnerability that is required to grow professionally and personally. When not working, Neathery enjoys yoga and meditation, being outdoors, listening to live music, checking out the best coffee shops in town, and starting and never finishing books. 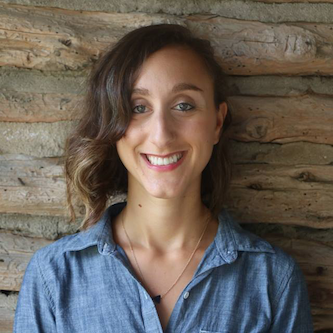 Arielle Frank, LCSW-S is co-owner of Yellow Chair Counseling, a group practice located in Central Austin, which specializes in working with students and young professionals primarily dealing with life transitions, mood disorders, trauma and relationship issues. Since Arielle and her business partner, Denise, started Yellow Chair Counseling in 2016 it has grown from one office in a shared suite (with Vanessa!) to its own space in a five office 1950’s bungalow. As well, it has expanded from a two woman operation to a community of 12 clinicians with varied backgrounds and specialties currently serving more than 200 clients. Yellow Chair Counseling’s mission is to be able to provide affordable and accessible therapeutic services to the Austin community. The practice is especially passionate about connecting to students and young professionals who may have never before reached out for support with mental health and are wanting guidance in navigating important emotions and in learning how to prioritize themselves. Vanessa Flores, LCSW-S, CDWF is a therapist in private practice. She has spent the past 10 years working with teens, survivors of trauma, adults and people of color. Her training in EMDR and the curriculum of Brené Brown has helped transform the way clients heal. Vanessa is the founder of Colors of Austin Counseling, a group practice that offers varied counseling services with two locations in Austin and Cedar Park. Her practice is founded on values of diversity, creativity and courage. Vanessa is passionate about helping other practitioners grow their practice through business consultation and is a board approved Supervisor. Colors of Austin Counseling is a therapeutic practice that offers individual and group counseling to adults and adolescents in Texas.